Email developer extraordinaire and the man behind FreshInbox, a blog covering interactive and advanced email design techniques and news. 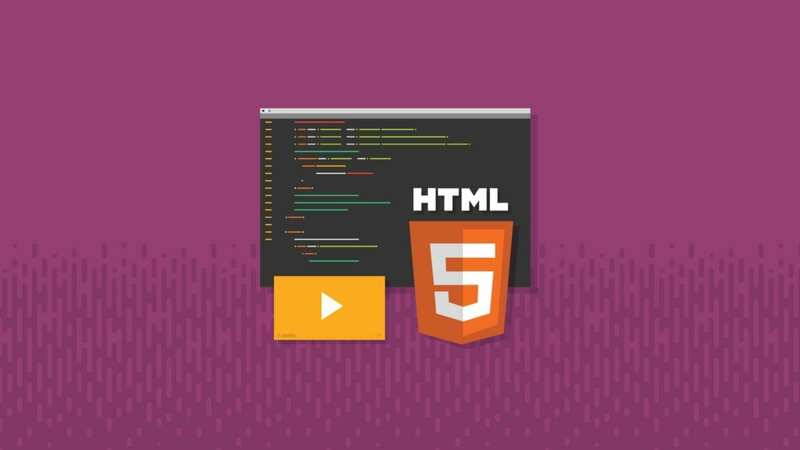 This article will teach you how to embed HTML5 video so it can be played in email clients that support video in email, specifically Apple Mail, iOS 10 and the Samsung email client. It will also cover various fallback techniques for clients that cannot play video. 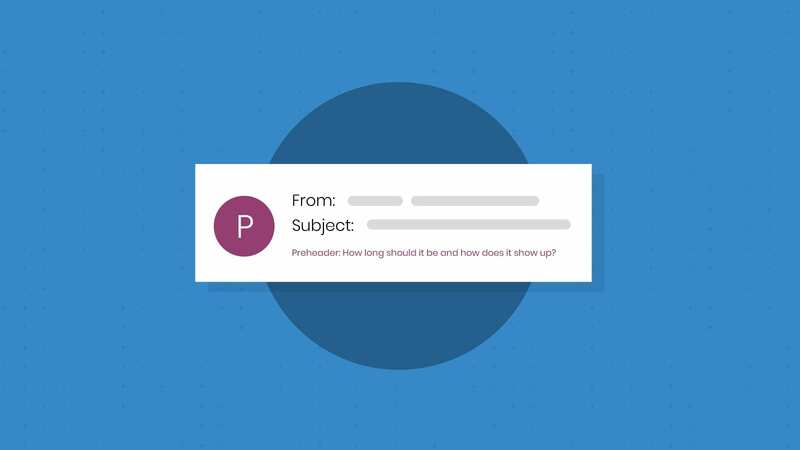 Because video can be so tricky, it’s especially important to test your email before you send it to subscribers. 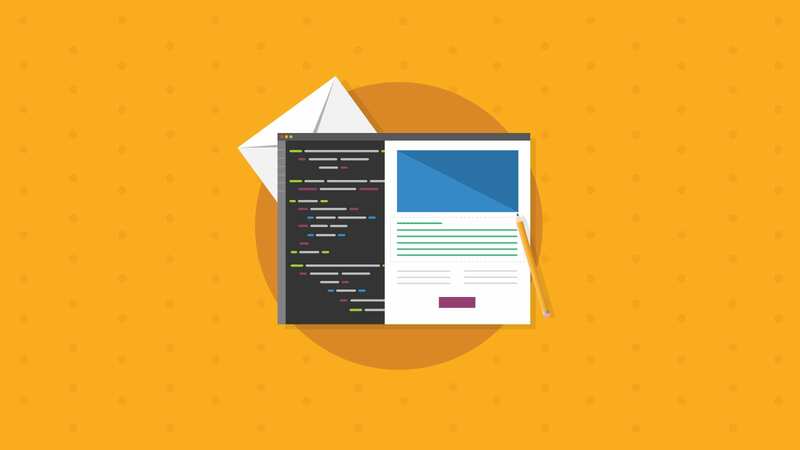 Email on Acid allows you to preview your code in more than 70 email clients and devices, so you know exactly what the design will look like when it hits the inbox. As you can see from the table below, there is limited support for HTML5 video. However, the clients that do support it represent over half of the market share. Email applications like the native iOS client, Apple Mail and the Samsung email client will allow recipients to play your video within the email client itself. Other clients like Gmail and the Android devices will display a fallback image. The following is the basic video code. Clients that will display and play video will use the poster attribute as the cover image for the video and the file referenced by the source tag as the video. Clients that don’t support video will render the image within the video tag that is wrapped by a link. The iOS 7 email client supported video, but Apple removed that support in iOS 8 and 9. Apple then added video support back in iOS 10. Unfortunately, iOS 8 and 9 email clients will still render the video with a play button but will not play the video. With that in mind, we need a way to only show the video content in iOS 10. Our friend Remi Parmentier discovered a clever method to only display video in iOS 10 using the @supports declaration. It targets certain CSS that iOS 10 supports but not iOS 9. Check out his explanation here. However, Yahoo! Mail does not like the @supports declaration and will expose any CSS within the block in the email. (Yahoo! Mail used to break media queries as well, but that has since been fixed – see this article for background). To ensure the CSS within the @support block is not activated in Yahoo! Mail, you can use the “starts with” (^=) attribute selector that Yahoo! Mail strips (it allows regular attribute selectors). For Mac-based clients, we can use the -webkit-min-device-pixel-ratio media query to enable video. However, we also need to prevent the video from displaying in iOS 8 clients. The fix is to add a min-device-width query that is wider than the iPad’s email client device width. 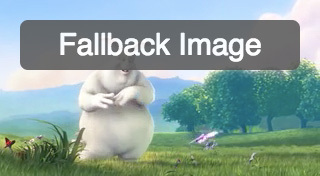 Interestingly, this media query will activate on AOL Mail (which does not support video) for webkit browsers such as Chrome and Safari, but luckily, AOL Mail will simply display the fallback image and link embedded within the video tag. Unfortunately, Outlook for Mac has a quirk where it does not play videos when the user clicks the play button. The reader must right click for a menu and then click “Play” in the menu. This can be confusing for readers who are not familiar with this limitation. By not including the media query above, the Mac-based clients will display the fallback content. Since the poster image (the poster attribute in the video tag) will appear by default, you can add instructional text like, “right-click to play video” in the image. If you do not want this text to also show up in iOS, you may want to create a separate video block with the custom poster (i.e., using a different classname .video-wrapper-mac) and target the above media query just for that block. Alternatively, you can place text in a <div> above or below the video that will only display in the Apple Mac clients. 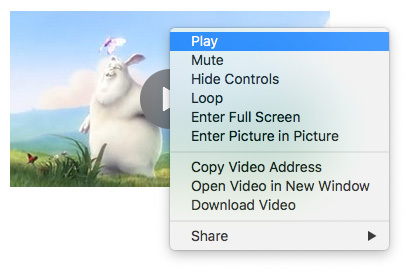 By adding the attribute autoplay=”autoplay”, you can make the video play automatically in the Mac clients. This removes the need to instruct the recipient to press the play option. However, just be aware that some recipients do not like videos that play automatically, particularly if they contain loud music. 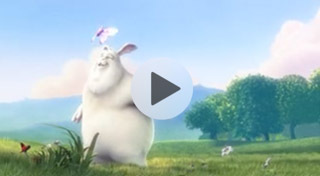 HTML5 supports three main video formats: MP4, OGG and WebM. Due to intellectual property issues, Apple decided to only support MP4 in their browsers and email clients, which is why MP4 is the only format I’d recommend using for video in email. Should You Use Video in Email? Although embedding video in email is not difficult, it is not a trivial matter. Some email marketers advocate for just displaying a fake play button on an image and having that open the browser to a landing page that hosts the video. Others prefer displaying an animated GIF converted from a video since animated GIFs are supported in all email clients except for Microsoft Outlook. Personally, I think it depends on your audience and your brand. Having a video play right in the email client can add a wow factor to your newsletters and if you use video a lot, the experience of having the video play without taking the user outside to a browser may make your recipients more likely to play the video. Either way, it’s your call. If you’ve decided to use video in your email, make sure that you verify that your email will render nicely across the most popular email clients. Email on Acid can help you test your email across 70+ clients and devices in seconds. Try our platform free for seven days and see for yourself. Editor’s note: This article was updated on August 24, 2018. It was previously updated in December 2017. This is great, I can see videos in emails really helping to increase conversion rates. However, since you have to download the video to play it, won’t this be fairly painful for mobile data limits, if you are downloading on 3G? Would you suggest only including short videos (less than 30 seconds) rather than ones that are a couple of minutes long? Yes, in general I would advise including shorter videos in your email marketing. This will help viewers make it to the end of the video as well. You can use this to introduce a customer to videos you host on your site (which may include longer ones). Couple of things: first, I always love to see people talking about embedding video in email. Senders have tried to use embedded video in email for years and when I see articles like this, it reinforces the idea that embedding video in email is now possible. So my overall reaction is highly positive. Senders are thirsty for this information, and I think this approach gets senders 50% of the way there. I did want to point out a couple of things about this code – it is a bit self-serving but I think still represents a technically useful perspective so I hope you allow my comment to go live. 1) The Android approach here is on the right track, but it’s not comprehensive enough to cover the 3,500+ Android devices in existence. A more comprehensive tag is needed to ensure Android compatibility. It should also be noted that the general Android approach here does come with a sacrifice: Windows Phones (Nokia in particular). The sacrifice is worth making for most senders, but senders should be aware of it. The Nokia phones don’t handle the DIVs properly. 2) This code doesn’t solve a major issue with a very popular webmail client, Outlook.com. When Outlook.com is opened in any browser other than Chrome functioning player controls in the mail client don’t render. The solution is to serve a custom poster image with a “right click to play” message. The only way to accomplish this is to use device/client detection and to serve a custom asset. 3) This code doesn’t solve the “analytics issue,” which many practitioners would argue is even more important than being able to embed video in the first place. Senders need to know how many people are clicking to play the video, how many recipients are served video, and how many are served a backup asset. This is especially true when a primary goal of the mailing is to drive video views. Since clicking embedded video within a mail client doesn’t result in a clickthrough event, the only way to solve the problem is to use custom click-tracking infrastructure that is able to sense whether a video’s been played based on how it is being requested from the server. 4) This approach relies on a 2-tier waterfall model where video always fails over to an image. In my experience, senders generally prefer a 3-tier waterfall model, where video fails to an animated .GIF video, and if .GIF can’t be served, then a static image is served instead. The reasons senders generally prefer the 3-tier model are twofold. 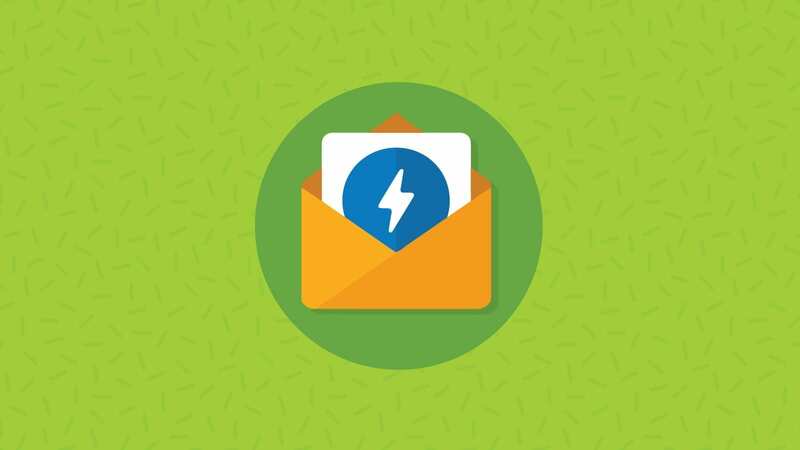 First, it tends to drive higher click rates (we observe an average 15% uptick when serving .GIF videos vs. static images with play button overlays) and second, it generally creates a more dynamic experience in the inbox. Although it is possible to fail over to a .GIF animation using this code example, it’s not desirable because senders are forced to use the first frame of the GIF as the default image. That is a problem solved by device/client detection. The second reason it’s undesirable is that some mail client will force the download of the .GIF before displaying the first frame, which then introduces an experience challenge. That problem is solved by device detection as well. 5). Finally there is the issue of generating all the necessary assets. While creating OGV and MP4 video files is a great start, it’s not enough. This is due to mobile being so important. A more comprehensive approach that creates variable bitrate and resolution video files is desirable to create the best cross-device experience. Plus, if using a .GIF video, there’s that asset. And custom poster assets. And the image. Most folks don’t realize the number of assets that are required to deliver a truly seamless experience. This is where automation software can really benefit senders. If you’ve read to this point in my insanely long comment (congrats, you deserve a prize), you probably figured out by now that I’m plugging something here. What I’m plugging is VideoEmail (www.videoemail.com). VideoEmail solves the I’ve mentioned. Plus it’s just way easier to use for web developers in general. And, it’s surprisingly cost-effective for most senders. I hope you allow this comment to be posted. I think it is a valid perspective, although it is, as admitted at the beginning, a bit self-serving. Most mobile devices don’t fully download the video to play it. Depending on the device and size of the video file, an amount of the video file (usually 100 – 500kb) would “pre-buffer” prior to the video being available for playback, with most buffering closer to 100-200K). If you look at the video here, this pre-buffering is the reason there is a slight delay on the iPhone before the play button appears on the video. So, in general, it’s not a big issue with mobile in terms of bandwidth consumption. Thank you for posting! Sorry it took me so long to get back to you. 1) Which Android devices specifically don’t fit within our query? 2) Actually, this can be fixed using a special class that Outlook.com applies to all emails. Check it out in the revisions above! 3) That’s very true, and for some marketers it’s going to be a deal breaker. 4+5) Both great points. 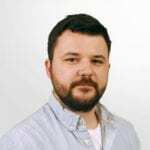 Your 3-tier approach does solve some problems with embedding video in email, and automation in creating the assets would be welcomed by many users. Very cool! If any of our users reading this do give Justin’s service a try, please let us know what you think! As I am not an expert I can not go into details, for me its awesome I copied your code in Dreamweaver, and it worked well. 1- in your code where to Edit to place my own video? Kindly Advise, how to use this code for any email campaign. >>> I think on this one we may have to agree to disagree. For me (and I think for most marketers), removing video capabilities from playing within Outlook.com isn’t really a “fix” so much as it is just another example of sending email back in time and preventing the channel from blossoming with innovations like video. In my view, senders that want to reach people using Outlook.com with video can and should show Outlook.com users HTML5 video. The only way to ensure a good experience is to detect the mail client and serve a custom poster. >>> Thanks again for the cool article/primer. For me, the more people who are talking about embedding video in email, the better. It’s definitely possible, cool, and can generate some great results. This is really awesome, thanks. A question… is it possible to play videos that are hosted on YouTube? I know you can do some funky Chromeless stuff, but I don’t know how that relates. One more question. Say I want to have a video, then under the video a buy button. BUT… if the video doesn’t play, then I don’t want the buy button either. Is that possible? How? That’s not possible with media queries or any techniques I know of. Would be nice though! This is possible using client detection, which is the same mechanism I recommend for solving the Outlook.com playback issue. Using client detection, the email client is detected at the moment of open by client detection software. If the detection software determines the mail client is unable to play video, then an alternative image is served in place of the button with “BUY” text on it. For example you could display a black box as the image, or replace the image that says “BUY” with an image that says “LEARN MORE.” Keep in mind though that although it’s possible to replace the image, it’s not possible to remove the URL the image links to. Therefore, if you have the BUY image linked to a product page, even if you replace the BUY image to a blank black image, it will still be linked to the same product page. That’s because images can be changed within the email after it’s sent, but links can’t be changed. Subsequently, after spending many hours on the internet at last We’ve uncovered an individual that definitely does know what they are discussing many thanks a great deal wonderful post. Great post! Thanks guys. Is there a way to autoplay the video? I have tried <video autoplay> but no luck. No, autoplay doesn’t function at all in our testing. Very nice! Unfortunately Mailchimp seems to remove alltags from the template code, which makes it impossible to use this method. Boo! Ok so im trying to understand. copy the code insert the you tube video code right where it says and the outlook fix where it says. Then copy that. Click new e-mail paste all code in body of test e-mail then e-mail to myself and all I get is the code. Just don’t really know where to paste your code I guess. The fix we outlined above does not work for YouTube videos. It works for hosted video files. This is a response to the Mailchimp comment from above. I would be surprised if this were not a user changeable setting within the Mailchimp UI. We have found a couple of ESPs that, by default, attempt to “fix” HTML email messages. I’ve seen this function strip out the source tags in 2 other ESPs (Convio was one, can’t recall the other). In both cases, the issue was fixed by disabling either a message-specific setting or disabling HTML auto-correction at the account level. Thanks very much for the article and the list of supported email clients. I am pretty sure that in a year or two the list will be much better in terms of support. 1) Import your finished HTML template directly into MailChimp and do not edit the template with the MailChimp editor. 2) Copy/paste the embed code for the embedded video into a content block within a MailChimp template, chosen with the MailChimp editor, and do not re-open that content block to edit the cell containing the video. MailChimp’s content editor will strip the <video> tag and other elements of the tag IF a user loads the embed tag into their editor, closes the editor, then re-opens the editor to make any changes. Based on use of MailChimp it appears this is a designed capability – though a poor design choice, IMO – rather than a bug. Hope this helps. http://www.DirectIQ.com is yet another user-friendly email marketing service which lets me send video emails and supports HTML5 video embed markup. I love their dashboard for other reasons though. I passed some minutes to test a Gmail bug that create a white-space under the video division. The video tag and sources are replaced by “u” tag and the alternative-video content is displayed. But the “android” division keep its height because of an automatic replacement of height by min-height. Gmail automatically replaces height by min-height even if you already declare a min-height. I’m looking for a solution. using max-height instead of height. In the example the video has no content below. The android div creates white space underneath the image is hidden but the block is present (physically). So I removed the div android (I have not tested on android) and I have more space. Great for gmail, yahoo my biggest “clients” by cons on outlook.com nothing appears. I have not yet tested on iphone but it should work. Finally, my experience I draw a lot of frustration: how to manage all browsers / versions of browsers / devices (mobile and tablet) and applications? So it is not easy to know the return on investment to send a video email and therefore whether it is worthwhile. Sorry for being long but I think it is also important not to put that code but to share feelings and difficulties with this type of work. For it is interesting to a video, but it requires so much anticipation in terms of development, video resources, I wonder if today is really profitable. Yes, it can be very frustrating! I am not sure what to tell you about the white space except to keep testing and trying new fixes. As far as making it work on all devices/applications, I think your best bet is to show an image as a fallback. I have a question as someone who is totally ignorant to the topic, but has been assigned by her boss to “find out how to embed videos into emails”. We currently use Get Response for our email marketing. My boss now wants to be able to send a video out with the email, but Get Response only provides the ability to link videos. He has been using Dropbox as his method for storing the videos and therefore sharing videos with clients/prospects. However, now he has decided that he doesn’t want anyone to be able to download the video when he shares it. Dropbox provides an easy “download button” which he doesn’t want anyone to have the option to do. So my question is two fold. First, aren’t all videos that are shared in any capacity, whether it be by direct link to a video sharing website (are there any that are preferred/recommended?) or by directly embedding into an email (which I’m clueless on bc I don’t code) downloadable? And two, what would you recommend I do in this situation? Learn to code? I’ve tested a different methods for embedding video in e-mail. The above one aswell. But the video does not play on iPhone (native). I guess something has changed since a past update. I just sent this code to myself and the video doesn’t show up on iPhone 6 iOS8. I get the fallback. Thoughts? Sorry, this technique does not work with iOS8. We may come out with another blog on this topic to address iOS8 at a later time. I’m with Mike above. I paste the code into Gmail and Outlook in HTML mode and just get the code text. Code works on desktop but does not works on Iphone. Any ideas why is not rendering correctly on Iphone5? As mentioned above by Justin Foster, this technique doesn’t work in iOS8. I believe he posted a link to an article about this. I have a quick question. I would like the video to continue playing from one page to the next. Is there a code that can make that happen? When I test my site I’m creating and click over to the next page, I have to start the video over. con un dispositivo de confianza (como un wearable incluso tu coche). Justin and the folks he works for at Realtime Email/LiveClicker have made some big changes, especially when structuring their services. Now the minimum number of emails you can get per month is 20,000 for $750. That’s got to cut out a lot of smaller businesses who could have helped get their services used more. That pretty much leaves it up to the spammers, which means that video in emails is now at a dead-end road, for small business. Sorry to come late to the party. However, my company just signed a contract with Liveclikcer. We were excited to know that we could send video emails to IOS users who are our subscribers. Well, after some trial and error, as well as custom coding, we cannot get video to play in the native IOS devices period. Being on a Mac, I see the emial fine in Outlook. But after reading that the newer IOS platform does not support HTML5 video, it take the Mickey out of why we even got the ability to finally send video emails. If any one has a work-around or can direct me to some further reading, eventhough I think I pretty much found the answer of “You’re S.O.L pal” on this. Thank you in advance folks. Happy Coding. Feel free to contact me directly with any questions justin at liveclicker dot com, or contact your account manager. Happy to help. Appreciating the commitment you put into your site and detailed information you offer, but when i actually tried to code my own email template using all the information given above i was unable to do it and after trying it for few hours i ended up with a messed up design which was not working good in email platforms as well. Then i google a bit and found an awesome website called http://www.TemplateBhai.com From there i downloaded 2 free templates, well coded and even i was having PSD to make the changes in original banners. I literally executed the campaign in less than 15 minutes. Its heaven for marketers. Really interested in this thread and can see how video could help me sell my web business in a box business opportunity. Doesn’t seem to work for the current generation of Android mail clients (Galaxy). Displays a block with a circle and triangle, but doesn’t show video when clicked. The timeline below also only shows a triangle and a 0:00 with a line after. Doesn’t seem to work with the Gmail app in combination with the online version of the mail. The current version of Gmail opens the fallback url in the app by default. Not in the browser. There it still shows the fallback. Controls do not render on Outlook for Mac at all, including a play button in the center of the video. The video can only be played by right-clicking/control+clicking on it and selecting play. I’ve been unsuccessful in finding a way to specifically target any Outlook for Mac client, so I can’t create a fallback or OL for Mac-only instructions. Has anyone else had an issue with this, and if so, is there a fix? Also, if you merely leave “controls” as its own attribute without assigning a value to it then it will break the rest of the tag; with the code supplied here it ignores the poster and only renders a black screen (this also seems to happen in Apple Mail, however I’m not sure in which versions). You will need to change it to controls=”controls” to have the poster display and any other attributes be valid. This technique is working perfectly in all major email clients except on the Outlook app for iOS. Any ideas for a possible solution. I was thinking outlook conditional targeting to add a static image, but then the video won play in Outlook mac desktop. Any way to target just the Outlook app? I think the fall-back option does not work any more. I tested the final code (and the examples above) in all email clients, everything showed the fall-back. Even in all my internet-browsers I only see the fall-back. Hey Justin, thanks so much for this! I am using it on an email and testing it both Email on Acid and Litmus show the .video-wrapper and .video-fallback displaying in Yahoo! Mail. I saw the article here (https://www.emailonacid.com/blog/article/email-development/the-new-yahoo-mail-and-how-to-target-it) about the new Yahoo! Mail being more helpful with display:none but nothing I seem to do is making a display:none work in Yahoo! Mail for this .video-wrapper div. Any way you can look into this? This article has been updated to address Outlook for Mac. @unitydigital I don’t see any issues with Yahoo! Mail but feel free to chime in if you still see it happening. Make sure you copy the code from the section under “FULL CODE” when you’re testing. This may be a dumb question, but how do I use this when I don’t have access to edit the HTML head (like in Gmail)? @Elaine, I’m still having same issue with videos & iOS (11.2.5 now). I have noticed that when I open message with video first time, I just get the spinning indicator forever. But if I quit the email app (ie. double click home & swipe it away) and open message again the video works. Great updates Justin! Everything is working great. Has anyone been able to figure out a way to track plays? I’m wondering if using CSS pseudo selector might fire on click or hover, which could help better infer plays. Alternatively, wondering if the MP4 hosting service might be able to provide play stats. Most of the cheap SEO bundles are merely search engine marketing services that use software for the automatic entry of your own websites to varied search engines, something which is useless. the major search engines. Your site doesn’t have to be filed to some search engine as it can finally be indexed through the backlinks which the SEO expert has gained for you personally. The fallback work great here but I have a question for what we’re seeing on ios. When we click play on the video it pop up in full screen mode, is there a way to have the video play inside the email and not immediately in full screen? Thanks!